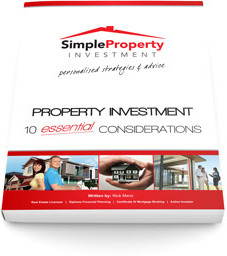 Simple Property Investment is an accredited member of the ASPIRE Advisor Network (ASPIRE). ASPIRE is an industry leading network of qualified, experienced and ethical Advisors. They provide quality, unbiased investment advice to their clients – and help them create and implement strategies, including acquiring property and other assets. ASPIRE supports independent property investment advice businesses, providing an operating framework with compliance and future regulation as its core focus. This means that investors will be protected at every step of their investment journey. A key differentiation is that all ASPIRE advisors are professionally insured for Property Investment Advice. With the property investment industry being unregulated, achieving Professional Indemnity Insurance for our accredited advisories was a significant step. Requires that all advisors have a minimum set of qualifications: RGV 146 in Financial Planning, full Real Estate licence, and Certificate IV in Mortgage/Finance Broking. This gives our clients peace of mind that their best interests are truly at heart when they come to us for advice. BRW 2015 Fast Starters: For revenue increase and continuing to grow and outperform competitors. Deloitte Tech Fast 500 Asia Pacific: Ranked 236th for strong growth. 2014 Deloitte Technology Fast 50: Ranked 4 for fastest growing company.